How do you store items you’d prefer out of sight to create a spacious uncluttered look to your home? Plastic tubs and other organizer store storage solutions certainly have their place in your home — probably hidden away in a garage. How about investing in some beautiful storage solutions that make you happy to use and see them every day? Consider an armoire or wardrobe. Including one that is custom-built for your desired space. within a room. An armoire (pronounced arm-war) is a tall, freestanding cabinet with doors that hide shelves and drawers and is wider than a wardrobe. Wardrobes have a very interesting history. The earliest wardrobe was actually a chest. and it was not until some focus on luxury was made in palaces and castles of kings and nobles that wardrobes were used. It was a place to store the king's robe. The name of wardrobe then described a room in which the wall-space was ﬁlled with closets and lockers. Drawers are a more modern invention. From these cupboards and lockers, the modern revolve with room for hanging items, sliding shelves and drawers evolved slowly. In the United States. 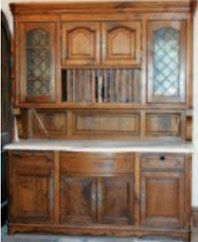 the wardrobe in its moveable form as an oak “hanging cupboard” dates back to the early 17th century. Around that time. the wardrobe was exported from America to England, because English woodlands had been over-harvested or were reserved for the Navy. For a hundred years. such pieces. often with beautifully-carved fronts, were produced in moderate numbers and then moved to the more plentiful American walnut. In the nineteenth century, the wardrobe began to evolve into its modern form, with a hanging cupboard at each side, a press in the upper part of the central portion and drawers below. It was often built of mahogany, but as satinwood and other previously scarce, ﬁne-grained, foreign woods began to be obtainable in considerable quantities, many elaborately and even magniﬁcently inlaid wardrobes were made. While renowned furniture maker. Chippendale and his school, had carved, Sheraton. Hepplewhite and their contemporaries achieved their effects by the artistic employment of deftly contrasted and highly polished woods. The next step in the evolution of the wardrobe was taken when the central doors, which had previously enclosed only the upper part. were carried to the floor, covering the drawers as well as the sliding shelves, and often ﬁtted with mirrors. Today, the option of custom-fitted wardrobes is very popular. 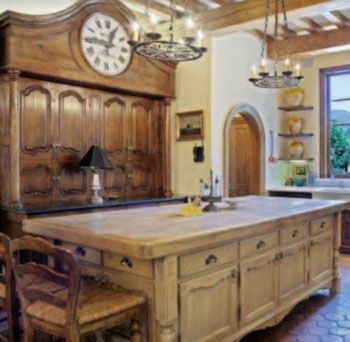 They are built around the size and shape of the room and can have a front carved with initials or a preferred pattern. had between one and three display tiers, and at the time, a drawer or multiple drawers fitted to them. The word cupboard gradually came to mean a closed piece of furniture. A built-in cupboard is a storage space that is considered part of the design of the room and is not free- standing or moveable. For example. may want. to build linen cupboard which can be located in an enclosed recess of a room. This type of cupboard can be used for storing household linens including sheets, towels, tablecloths and other items for storage. usually with shelves. You can also use an attractive armoire or wardrobe for linens, too. Closets have a long interesting history. too. At the end of the Medieval era, wealthier homeowners began adding closets adjoining their bedrooms. The closet became a place to store treasured possessions, but it was also a place for prayer. reading. And quiet contemplation. It was the most private place in the house, and to this day the word “closet” can also have a meaning of secrecy and privacy. Built in closets are a wonderful and attractive storage option you'll enjoy for years. You can have shelves that fit your shoes, sweaters, hanging garments, scarves. belts and so much more. Lighting is always an important element for a closet and lighting can be added on the rods to illuminate your clothing. You can include a skylight for a source of natural light and a backlight inside the closet. A fabulous light ﬁxture will make your walk in closet area even more appealing each day as you get dressed. 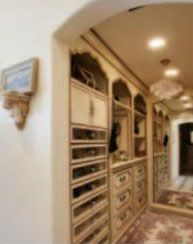 You can have beautiful custom flooring, a Persian carpet and antique hardware for drawer pulls. You can also hide a closet with custom cabinetry or a free-standing armoire. Other storage choices for your home can include a gorgeous custom-built cabinet in your kitchen for dishes and stemware adorned with a large clock, a kitchen island for pots and pans or a desk hutch featuring lots of drawers and cubbyholes for all of your ofﬁce storage needs. Armoires, wardrobes, cupboards, cabinets, kitchen islands, hutches and closets help you enjoy your home to the fullest by reducing clutter and providing a perfect space for everything you own. Regardless of when you sell your home, built-in storage spaces will be much appreciated by future owners and will enhance its value. Test of Tyme, LLC. #1022805 and Wendy Brickman. MA/ MBA. Brickman Marketing.